iPhone X and iPhone 8: Android market, beware! The wait is over: The new iPhones have arrived. Surely the iPhone X and iPhone 8 will break sales records once again, but for everyone in the Android world the competition has just begun. The days when Apple made ends meet with a single iPhone release each year are long gone. As demand and standards accelerate, the Cupertino giant now finds itself having to offer different iPhone formats in order to satisfy all its customers. Hence why in 2017, Apple has launched three new smartphones: iPhone 8, iPhone 8 Plus and iPhone X. Given how the story usually goes, I'm betting that all three of them will sell well and Apple will be boasting big numbers once again. Even with the launch of these new iPhones, Apple is having trouble keeping up with the Android competition as far as pure technical specifications. But, that’s not what matters to them in the end. Apple’s smartphone software and hardware are so seamlessly intertwined, a technically weaker platform ends up being so optimized, it makes performance more than competitive for the market. That's not just my subjective impression - The Antutu smartphone performance ranking shows the one-year-old iPhone 7 Plus still ranks in the top 10 and is even ahead of the Galaxy S8. That said, I'd be surprised if the new iPhone with the Apple A11 chip with six cores doesn't leave the S8 in the dust. Other factors like the iPhone’s display, camera, and software updates have also not shown any significant weakness for years. It’s clear Samsung will continue to sell more smartphones than Apple even after the introduction of the iPhone 8 and iPhone X. And maybe Huawei will soon become Apple's second main competitor. But Tim Cook doesn't really care. The iPhone will continue to sell more than any other smartphone line from any other manufacturer. And most importantly, the cult smartphone will simply generate a lot more revenue than Android-based smartphones from other manufacturers. Apple will continue being regarded as the cream of the crop in the smartphone market for the foreseeable future, and manage to keep its customers happy. That's about as good as it gets. But there is one thing Apple really needs to get right: Guaranteeing enough stock of the iPhone X. With its beautiful bezel-free display, the jubilee iPhone will be the most exciting model for many, regardless of the high price tag. 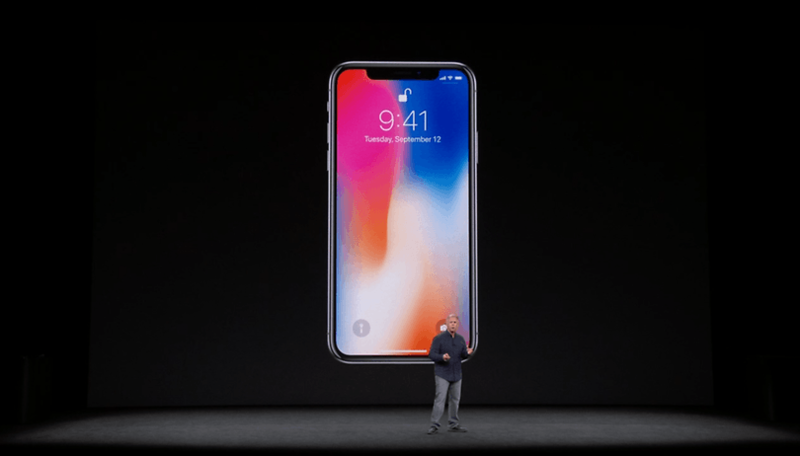 If Apple doesn't manage to ensure that the iPhone X is available all over the country in time for the holiday season, its reputation will be on the line. While I’m at it, it’s worth mentioning the Android competition should also keep an eye on the new Apple Watch Series 3 with an LTE module. Apple Watch is already selling better than any other smartwatch, and this likely won’t change with the new model. Interestingly, Apple fans seem to also have rainy day money for this product as well, considering the high cost. Many other smartwatch manufacturers argue that a smartwatch is actually intended to look like a classic watch, whereas Apple Watch’s design clearly doesn't. It's quite impressive how Apple not only succeeds in making headlines both inside and out of the tech industry, but also manages to keep its fans excited while continuing to attract new ones. With the iPhone X and iPhone 8, Apple will once again be in the spotlight, and I'm sure it's going to pay off. Big time. Do you think the iPhone 8 and iPhone X will sell well? Will you buy one? Let us know in the comments. Still doesn't offer what i want in a phone. Hence why i have preordered note 8. I use the s8+ and have no complaints performs very well. The note8 does peek my interest. The duel camera's, 6gb's & s pen. I think I will upgrade to the note around Black Friday and I think there will be many deals! Seriously? No. These iphones were already costing too much before, and the only way most people could afford them, was to get on a carrier plan. Imagine how much more they're gonna be now. They'll sell, but the smartphone market is way more secure now with plenty of choices. I think their devices are too full of restrictions, limitations, inconsistencies and the signature hidden functionality which they often refer to as being "intuitive". You just have a good experience if you really take the time to learn how to use them properly, if you're happy not to step outside their use-cases (default apps, iTunes etc) and if you're happy to pay them more, on a monthly basis, for essential services such as external storage (iCloud being the only realistic possibility). It's a very expensive experience, and for me, it appears like poor value, plus I hate the one-size-fits-all philosophy behind their OS. I looked at the note 8, but the fingerprint scanner location, and Samsungs slow updates, are making me lean toward the LG v30 or the pixel xl2. Currently a pixel xl user, after a disappointing stint with an s7 edge. iPhone always do invent the features, most of them at a later time than others! I don't think so that they can able to beat Samsung in any ways. Android is the best OS for any mobile use with lots of features. By the way good luck with new iPhone X.
iPhones has always been like that, hype, the real phones u will find them in Android...I go on with my Gionee m6 all the way. I agree both new iPhones are gonna sell like crazy, especially the iPhone X. People will regard it more as a status symbol than just a good phone. I switched to Android from iOS after the iPhone 6 and I'm not going back. As far as the Apple Watch is concerned it's basically the same type of thing people will stand in line to get it and Apple will sell a ton of 'em. Android OEMs have to figure out a way to do with their phones and watches what Apples does with it's products. There are a lot of Androids that I think are better than the iPhone but they don't all run the same version of Android or offer the same user experience and that's a big problem for Android. My Essential PH-1 throttles like crazy with the Snapdragon 835. It could just be the thermal-engine.conf is too aggressive. But the performance when it gets a little warm is so bad my Nexus 6P ran better benchmarks. I'm looking to return my PH-1 and buy the X when available. It will be my first iPhone in 10 years of BlackBerry's and Android phones. Google's and Samsung's overall experience is still superior to Apple's. It's about the software as much as the hardware, and Photos, Assistant etc. are all best in class and very well integrated into Android, and the OS itself is much more able to conform to the way you like to do things than iOS is. In a way, that's part of Apple's appeal. People who don't know how to do things and just figure that's the best way to do it. I'm skeptical of it selling in new record amounts. The pricing is silly for the feature set. It's features have been available for years in Android. Apple has OIS on both camera's just like the note. Gee whiz, I wonder where they got the idea from, Oh boy!! Prefer an Android phone that does what I want it to do, rather than any iPhone loaded with unappealing options, most of which I would never use. Huawei stays one step ahead; its own Kirin processors repeatedly hold their own against Apple; likewise Leica cameras win with quality and flexibility. After an honest comparison of stats, how can Apple's prices be justified? Still not my cup of tea. I like the overall integration of the software on all devices i.e. they appear the same no matter what device unlike Android devices, however, I still can't get around some of their software solutions or how they do things and much prefer the Android platform, hence I will not consider an iphone. sam packI-DzignLeslie Anne ChattertonMarty FisherChris R.